The ribbon is cut by our president, a representative from Swanson’s Ready Mix, and the two mayors. 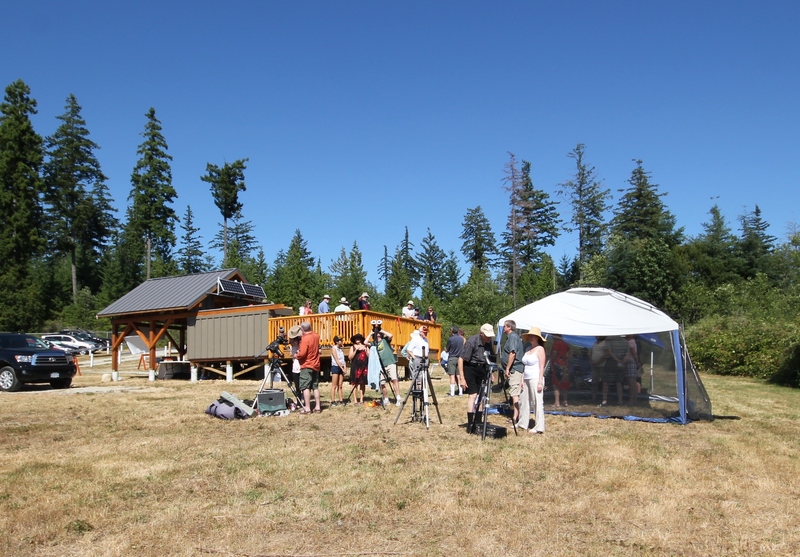 Thanks to all of the volunteers that made yesterday’s observatory opening a reality. The Mayors of Gibsons and Sechelt and Cam Reid, head of the Sunshine Coast Community Foundation were there as were Sechelt Councillors Darnelda Siegers and Darren Inkster, among other community leaders. 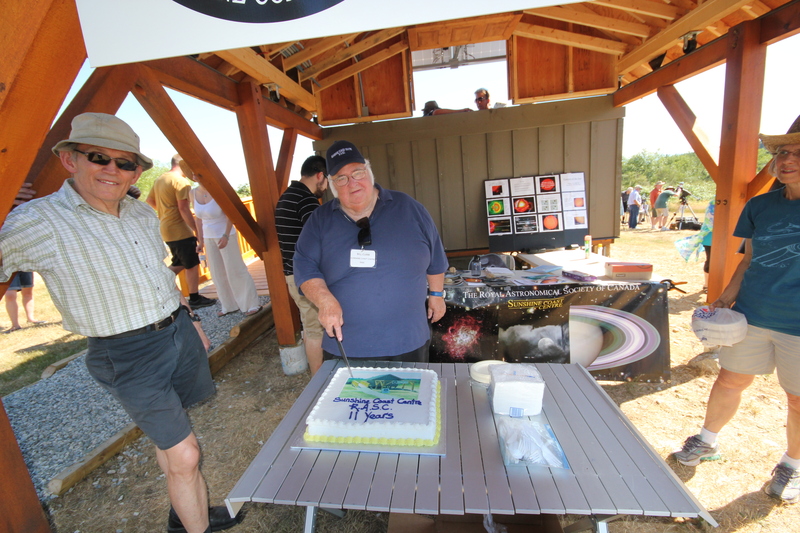 RASC Vice President Chris Gainor was there to cheer us on. 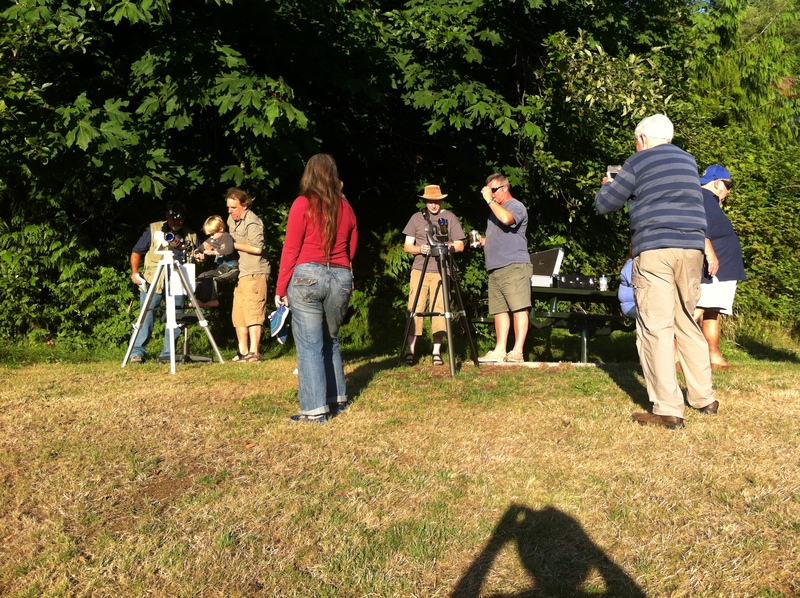 I know that the last six months have had members of the observatory team up nearly every weekend working hard. I know that this has dragged you away from your spouses and families. 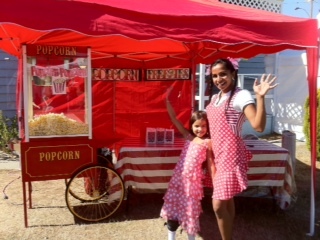 The volunteers that manned the information table and greeted visitors and set up canopies and directed traffic did a stellar job. We even had a black bear turn up to check out the festivities, though he left when he saw the crowd. About 60 people attended the ceremony. Past President Bill Clark was awarded a Founders Award for his service since 2004 when our club was founded. That statement was a wonderful gift for me and for all of us who created that experience. 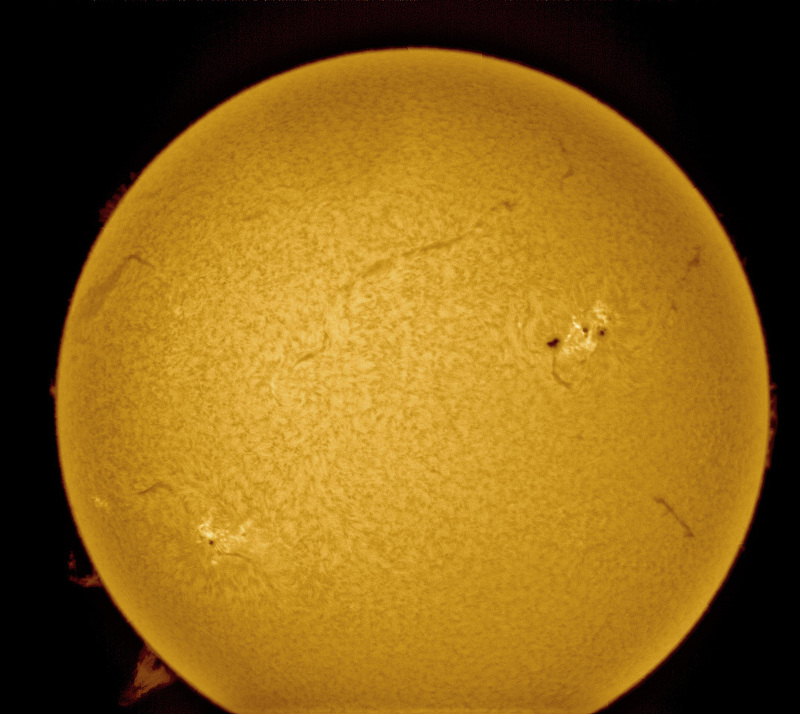 “I am pleased to say that our clubs 14 inch telescope and mounting worked flawlessly last night with excellent tracking and goto performance with most every object appearing right near the center of the eyepiece field. 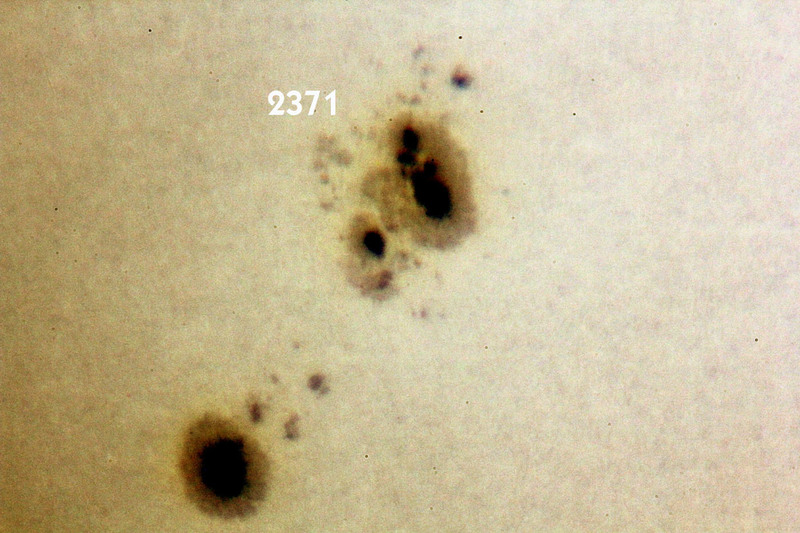 “Although I had been on site prior to last night to familiarize myself with the hand controllers functions last night was really my first time using the telescope and the observatory under the nighttime sky. The building itself is a magnificent structure far beyond what I had foreseen as the final result way back when first proposed. The design, construction and finishing, inside and out, is all first class. 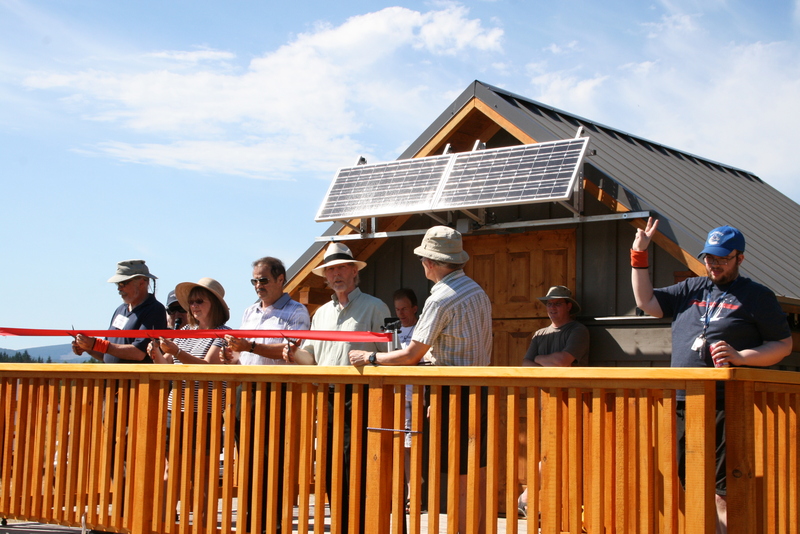 The Solar panel and electrical system installation would put NASA to shame… The scope and mount are top quality. through a telescope the best view of all is just an open sky with just the naked eye. Last night was a great experience and with lots more to come. I truly hope that every member will come out at least once to experience it for themselves. You should be very proud of what you’ve accomplished. You can check out more photos of the event here. 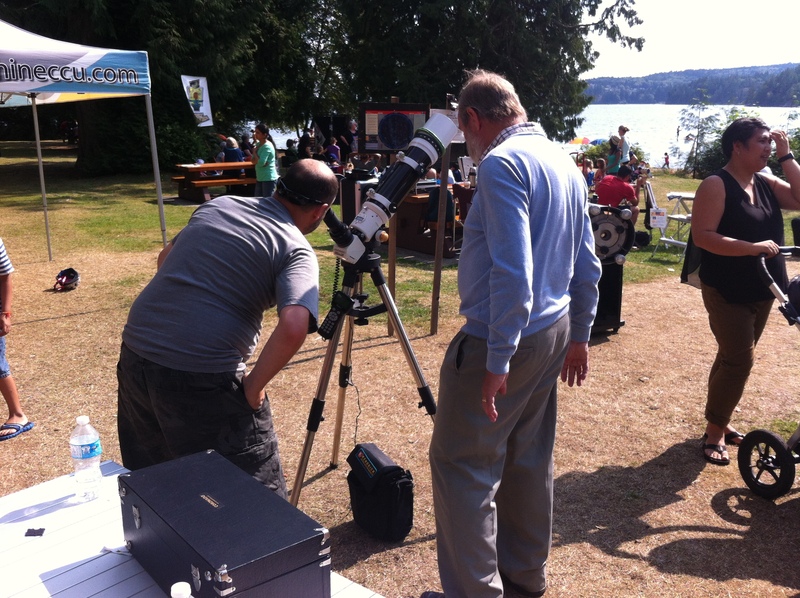 Observatory Grand Opening: We Are Go For Launch! 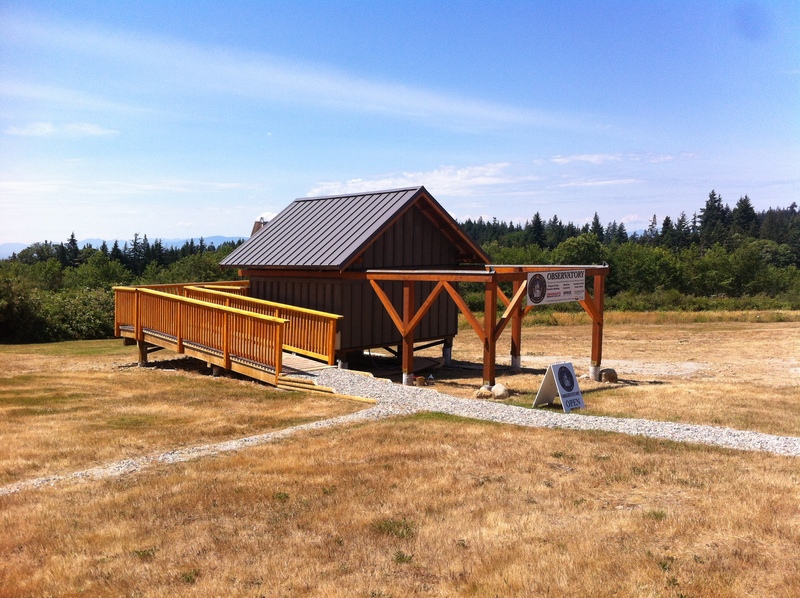 Only 4 days left until the grand opening of our observatory at Sechelt Airport on Saturday, 27 June! 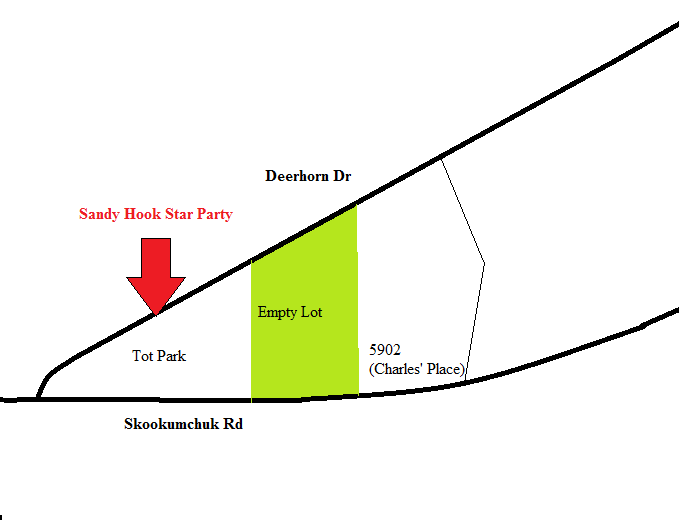 Set up volunteers will be at the gate at 1 PM. Gates open to guests and members at 3 PM. Parking is in the field across from the observatory. Ceremony starts at 4 PM. 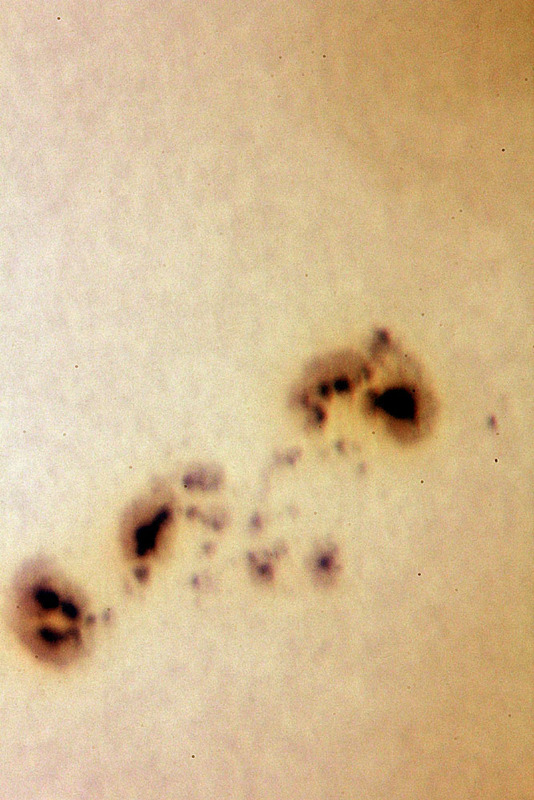 Solar scopes will be set up for viewing sun spots and solar flares. We’ll have coolers with water and sparkling water and an anniversary cake for the ceremony. 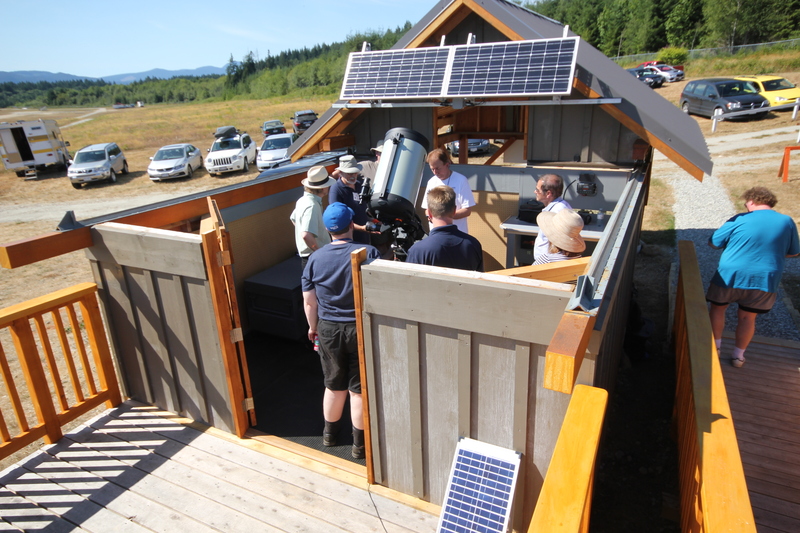 After the opening ceremony wraps up members will adjourn for supper, and then at sunset we’ll return to run the observatory until midnight. 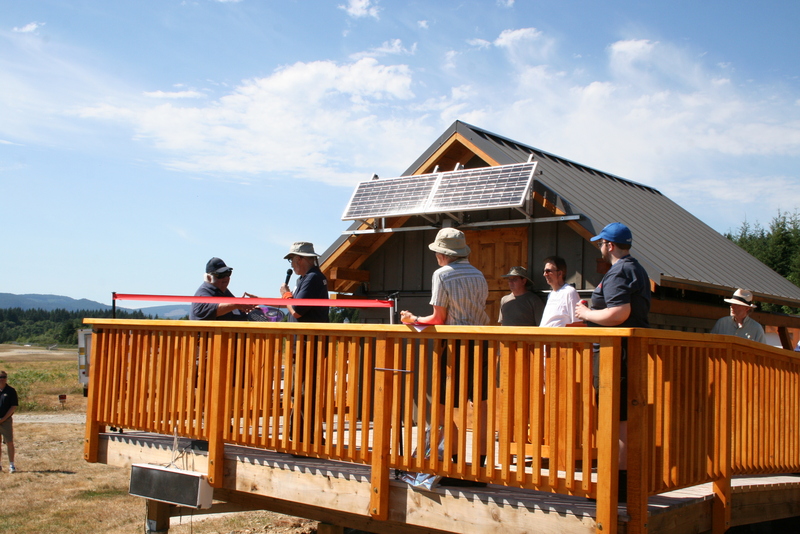 At 1 PM today we passed the District of Sechelt’s final building inspection: We are go for launch!